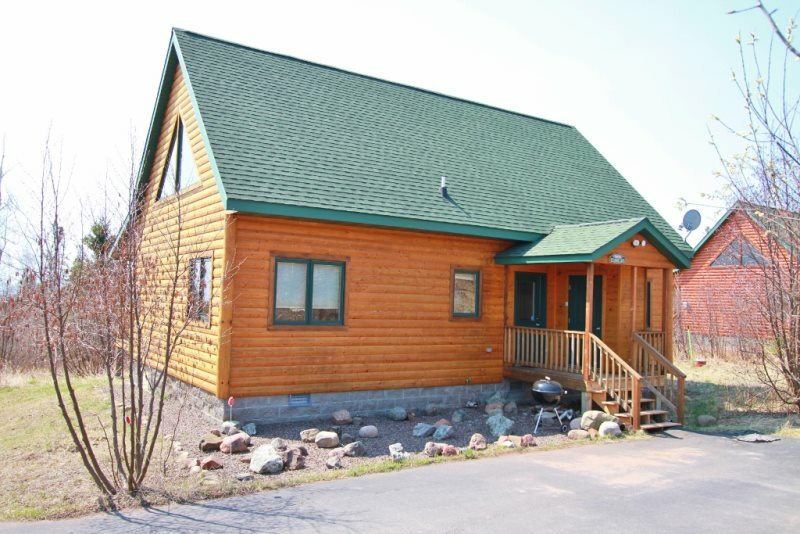 Lutsen Log Lodge #42 is a beautiful log cabin located in the heart of Lutsen on Ski Hill Road next to Superior National Golf Course. 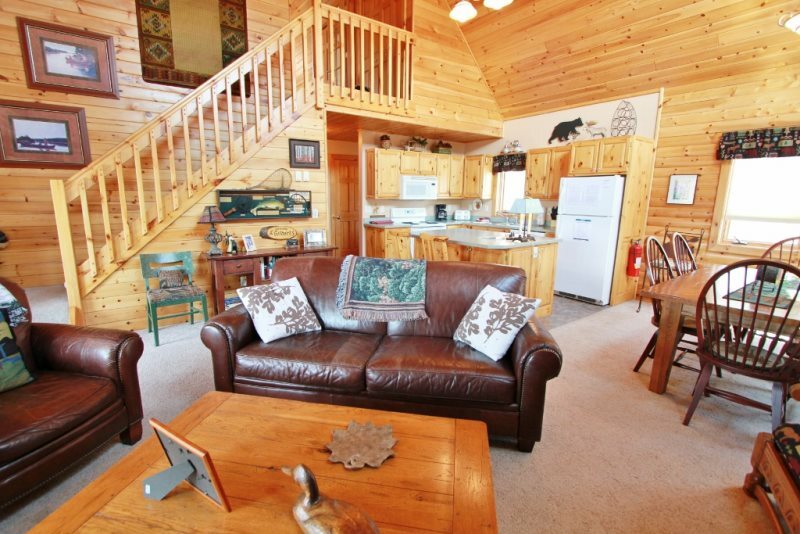 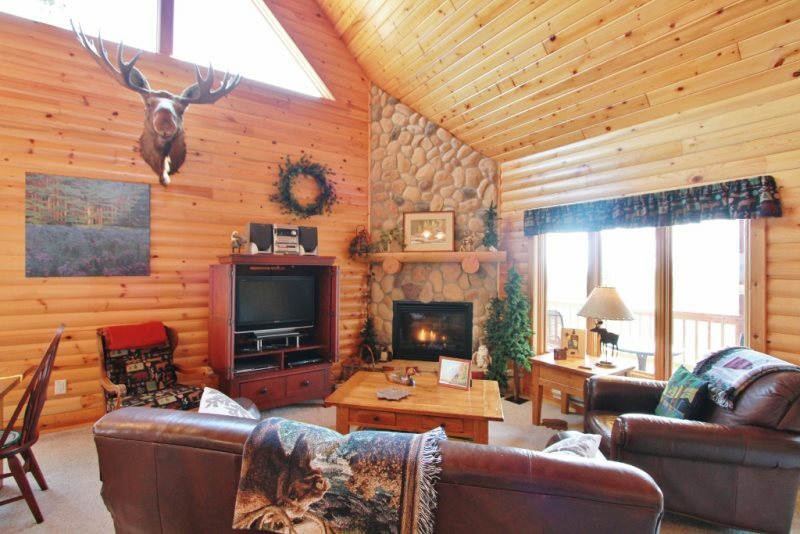 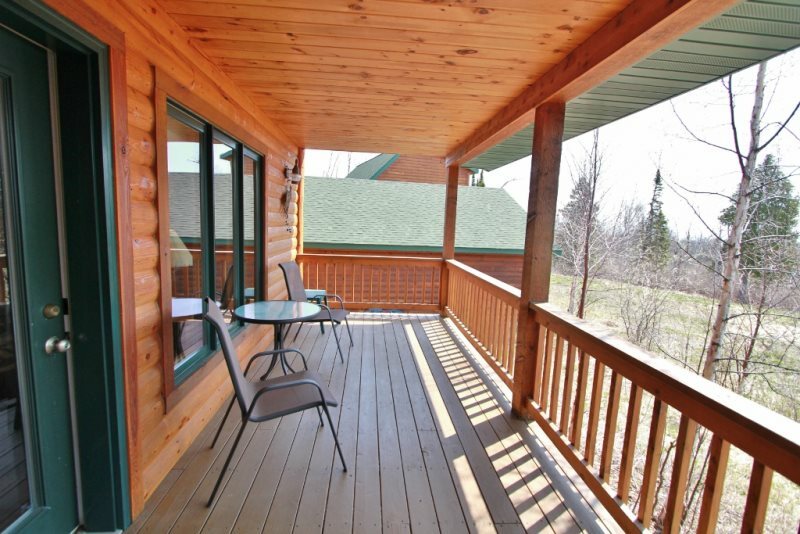 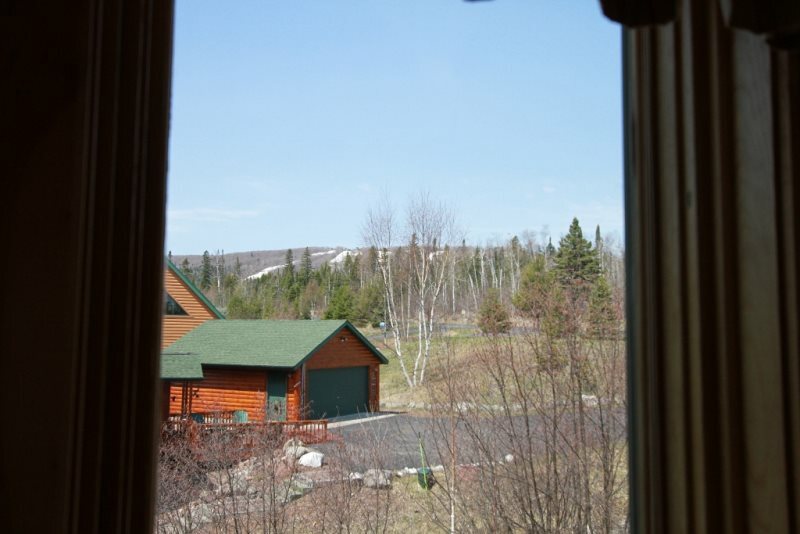 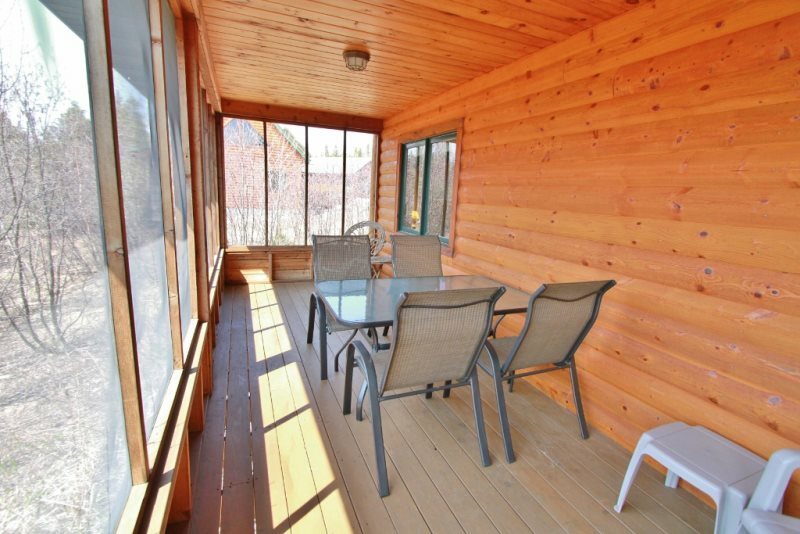 Enjoy this beautiful three bedroom log cabin rental located in the heart of Lutsen on Ski Hill Road. 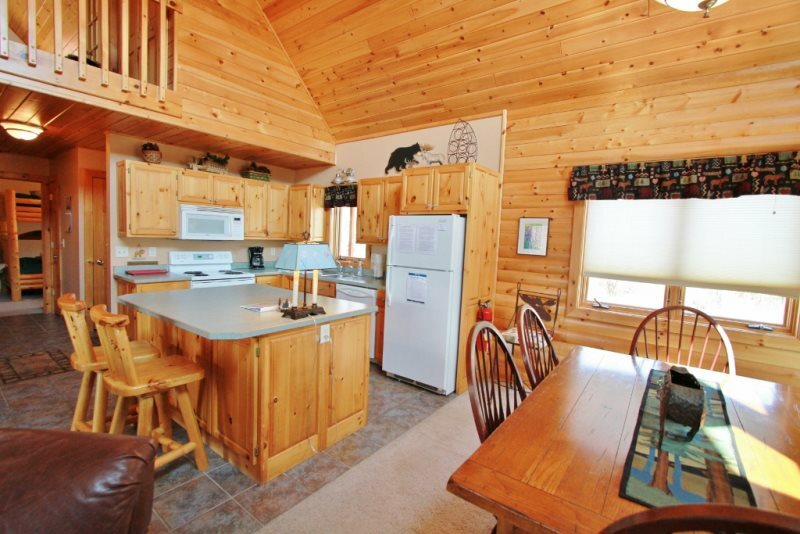 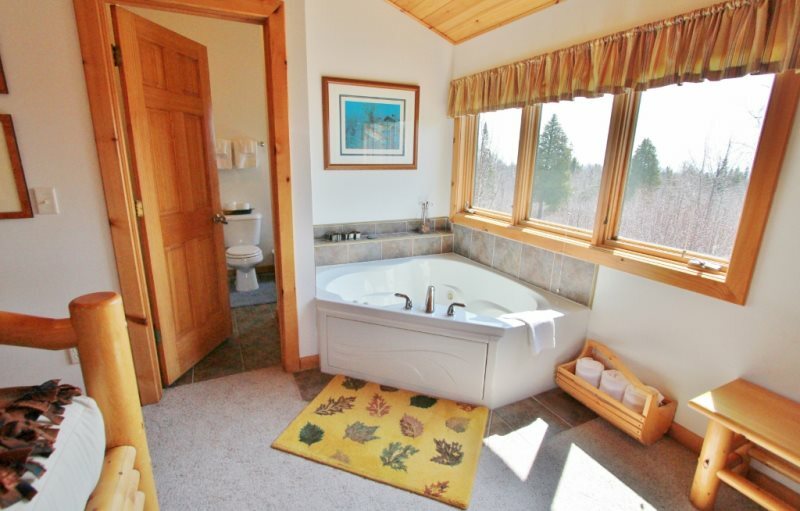 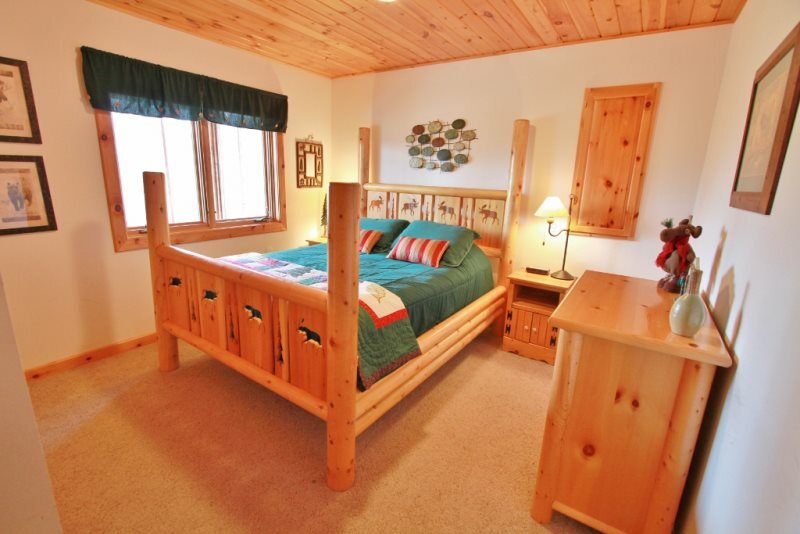 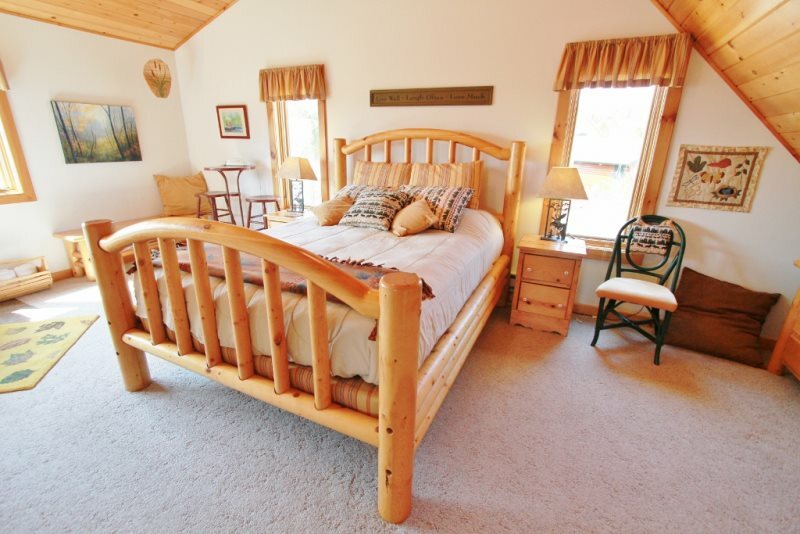 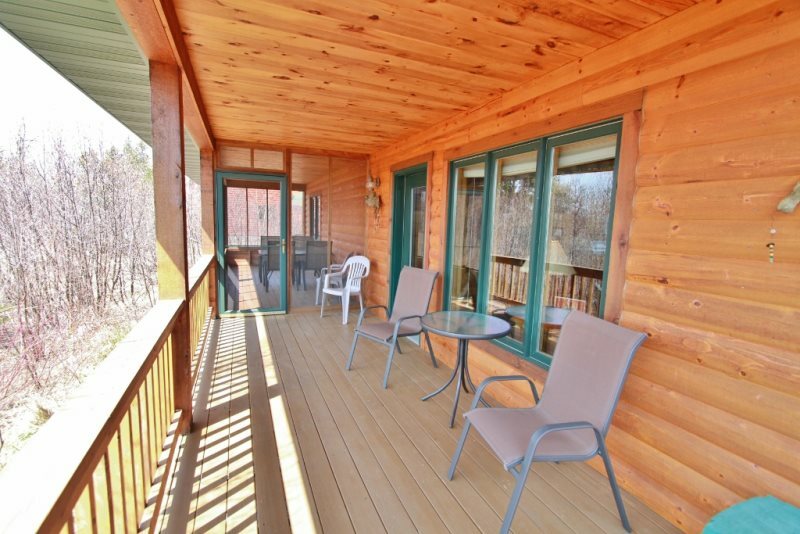 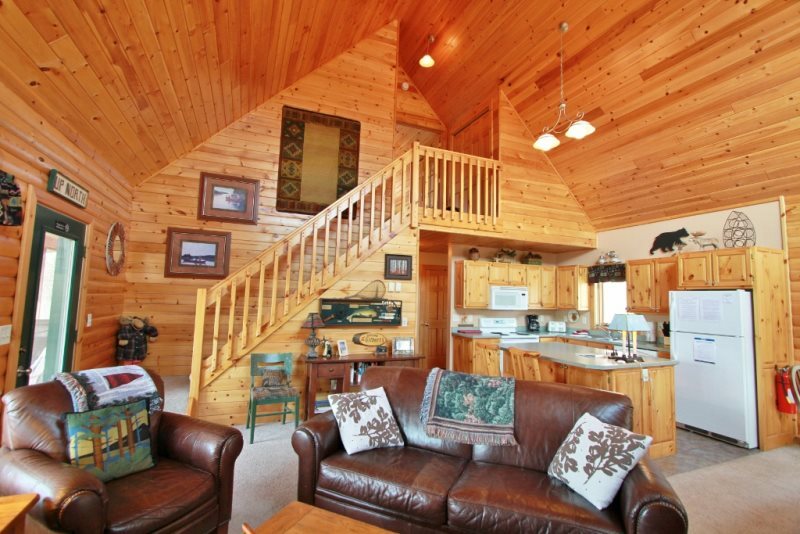 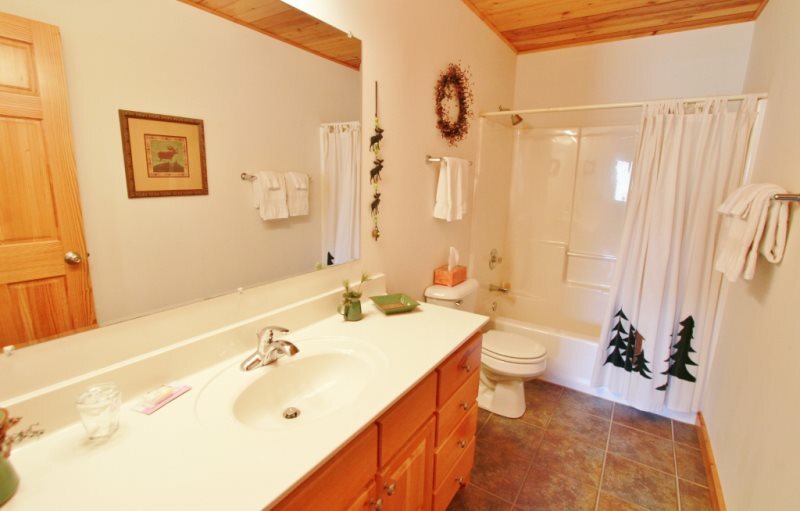 This cabin rental has a second level private master bedroom with queen bed and private bath with jetted tub. 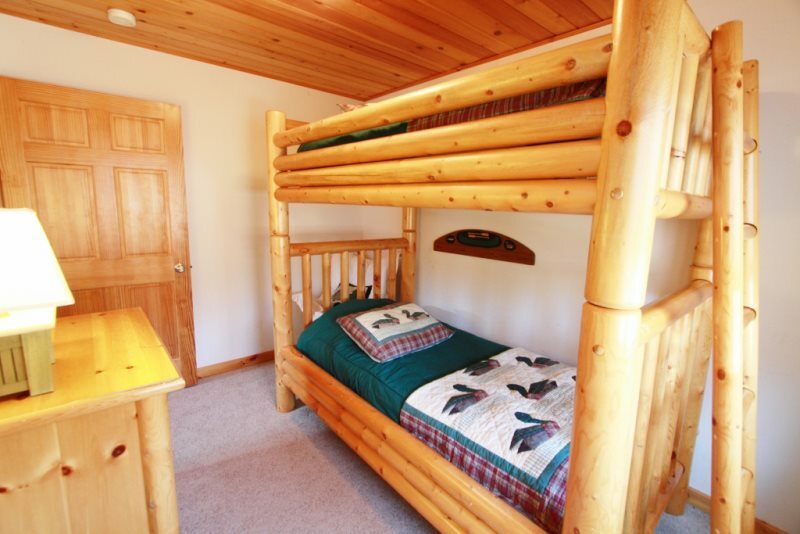 The main level has two private bedrooms one with a queen bed and the other with bunk bed and private bathroom. 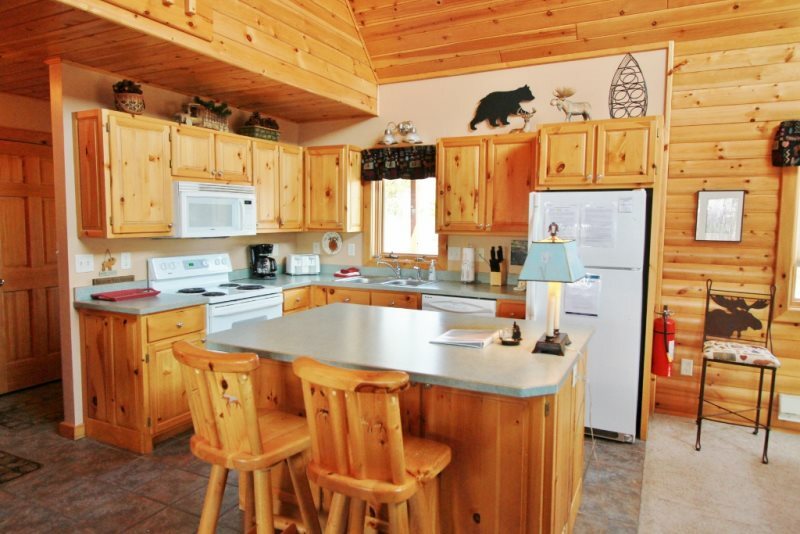 Open kitchen area to main great room with gas fireplace and entertainment center. 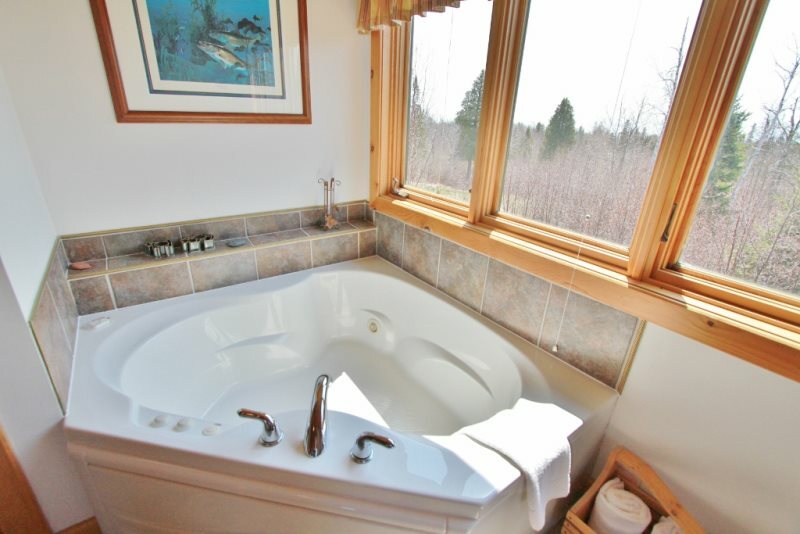 Rates quoted will be for 1-4 people. 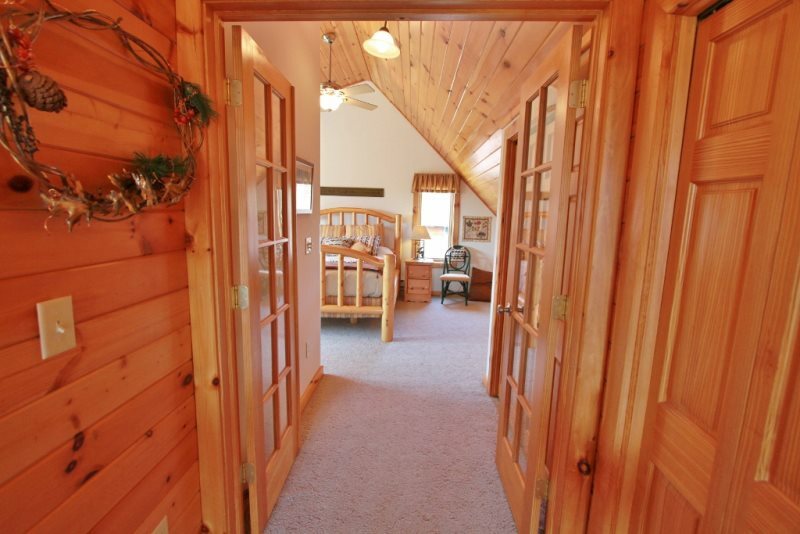 There is an additional $15/person/night fee for each additional guest. 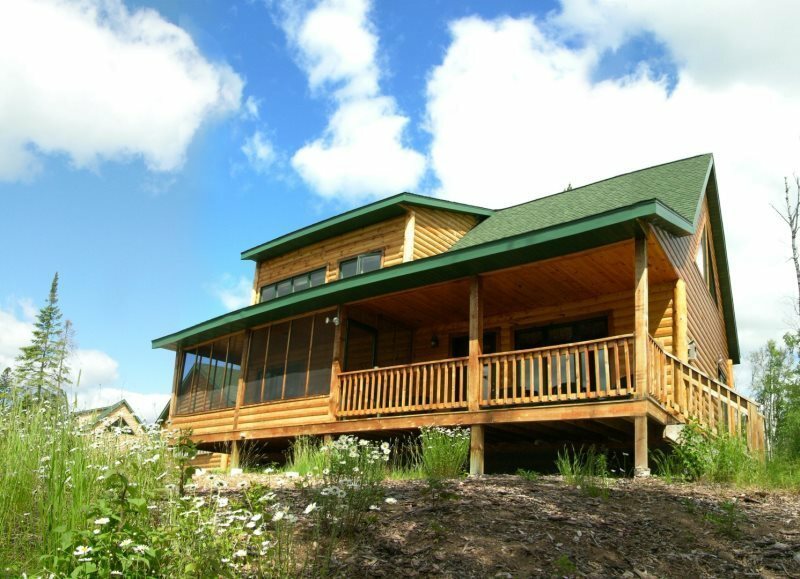 Get an exact quote for your party by clicking the yellow “Instant Quote” button and entering your dates and total guest number. 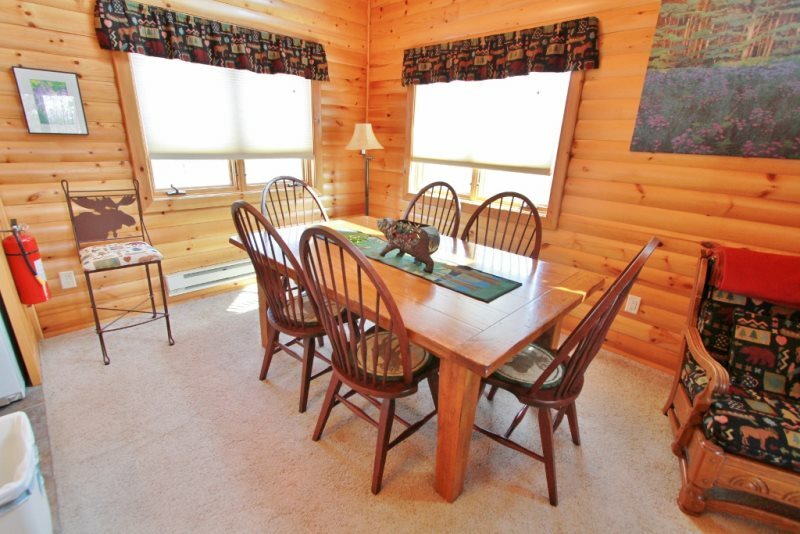 When booking reservations please be sure to enter your additional guests. 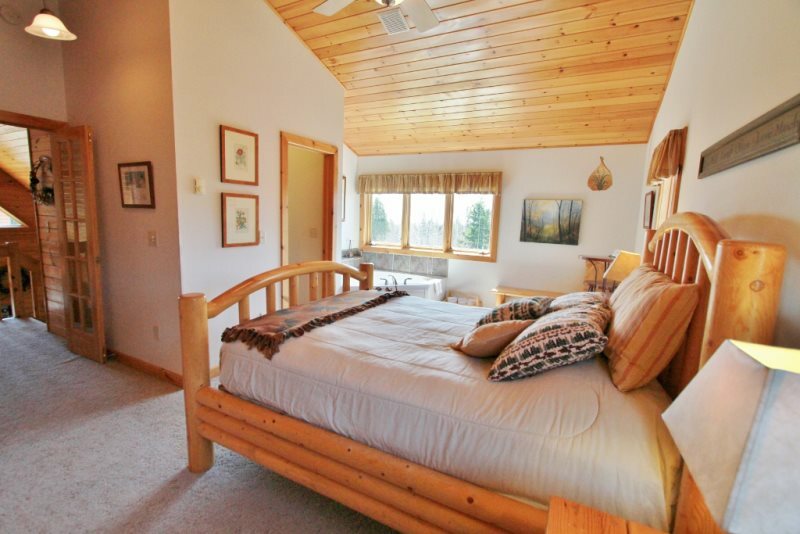 (Extra guest fees compensate for additional utility and cleaning fees and allow rates to directly reflect usage. 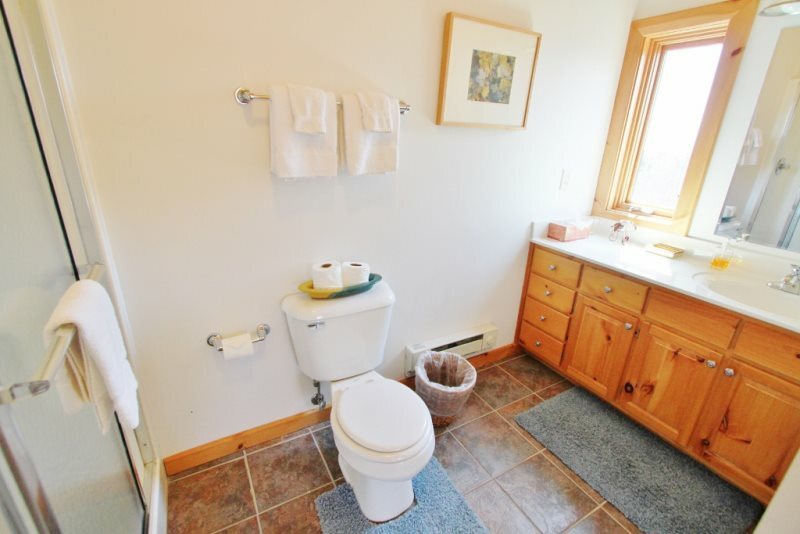 This makes homes more affordable for smaller parties).